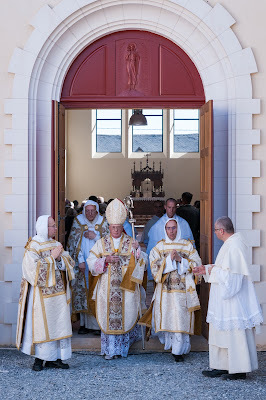 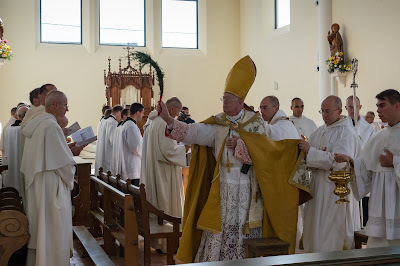 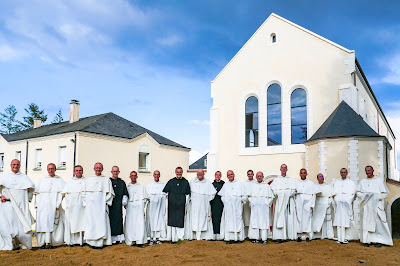 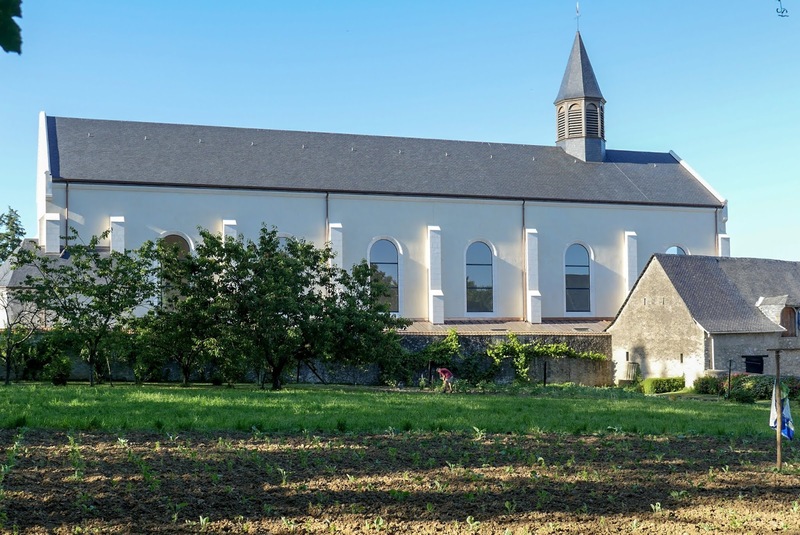 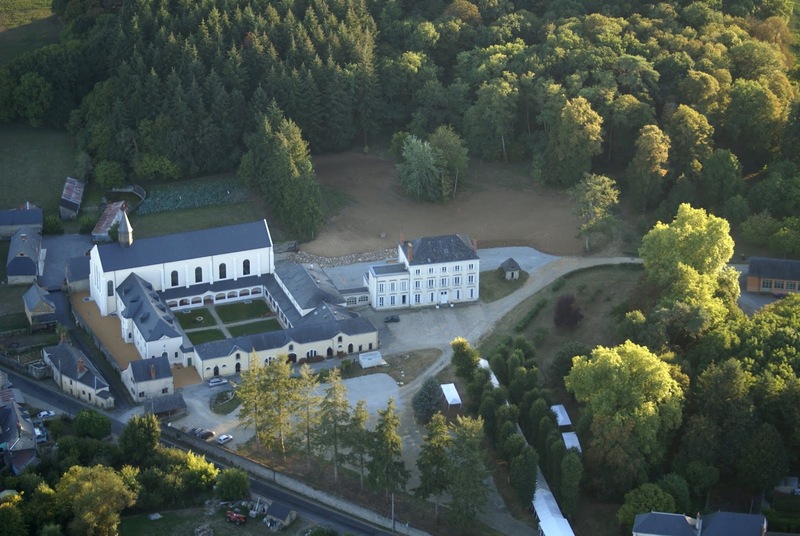 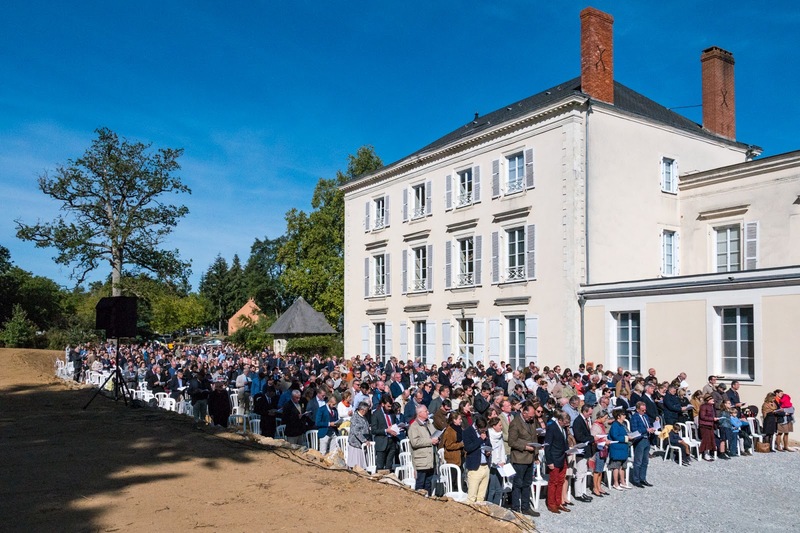 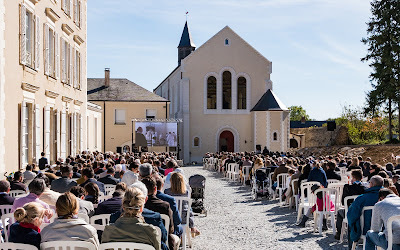 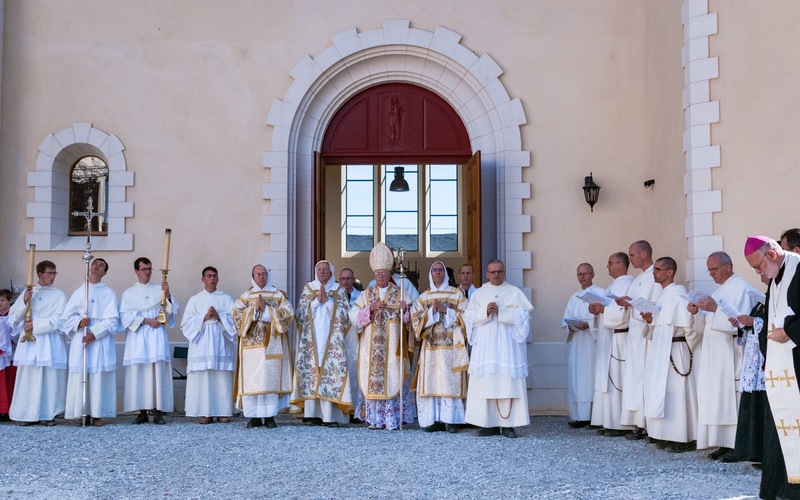 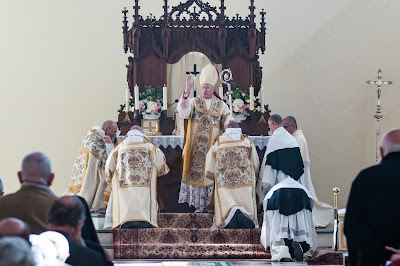 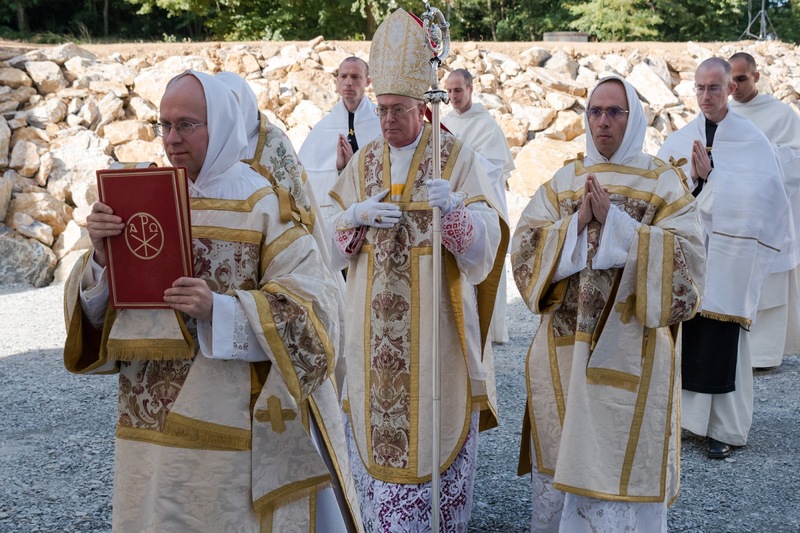 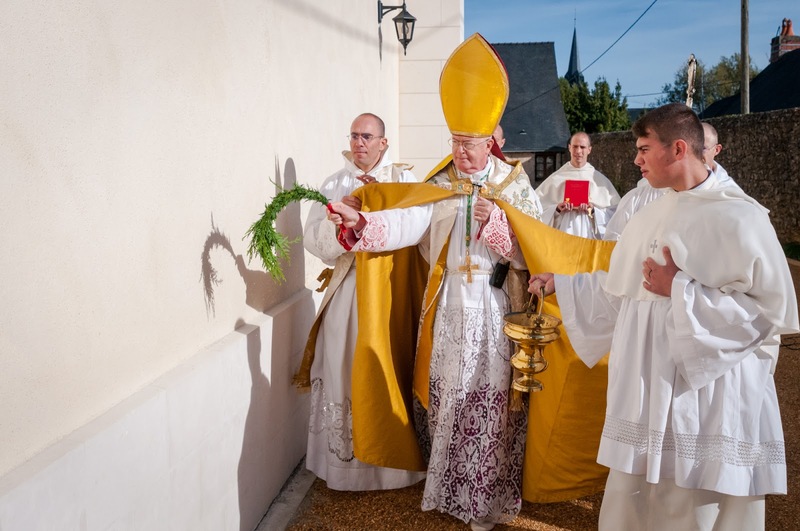 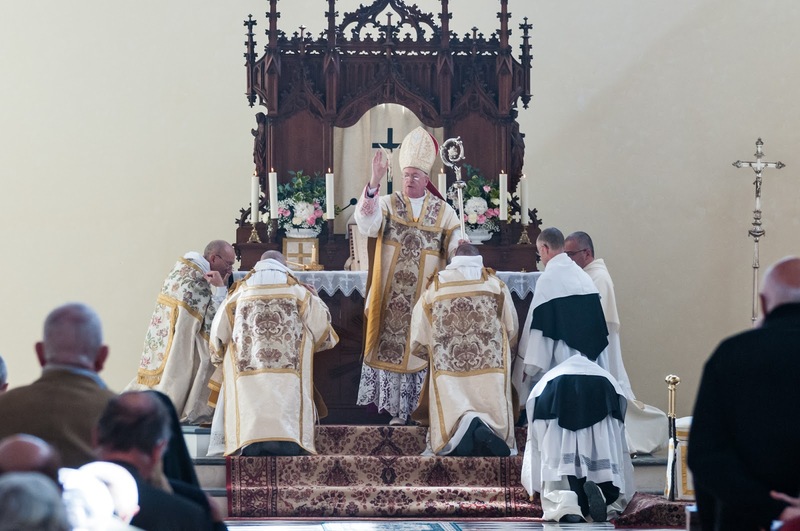 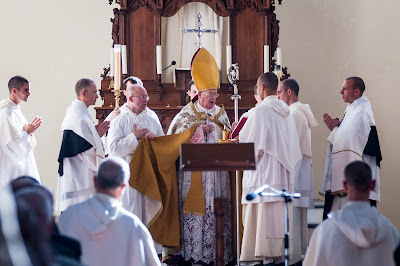 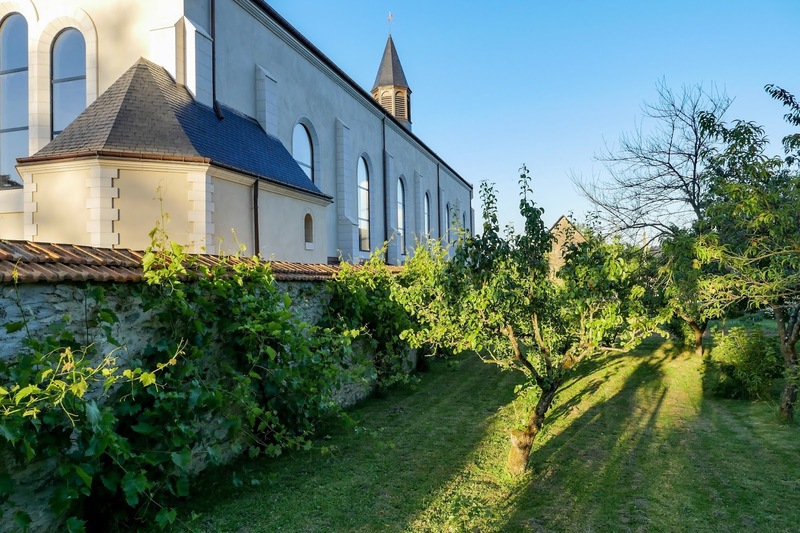 Last Saturday, the feast of St Michael the Archangel, His Excellency Archbishop Guido Pozzo, secretary of the Pontifical Commission Ecclesia Dei, blessed the new conventual church of the Fraternity of St Vincent Ferrer in Chémeré-le-Roi, France, and celebrated a Pontifical Solemn Mass. Over 1,200 people attended the ceremony, a bid eough crowd that many of them had to watch from outside on a big screen television set up for the purpose (as you can see below.) Video of the ceremony should be available fairly soon; in the meantime, we thank the Fraternity for sharing these photos of the ceremony with us.